Dressed in Harry Potter style robes and clutching wands, Crystal McCabe and Dr. Lynn Basko are ready to invoke magical chants of wisdom over what is expected to be a rapt audience of teenaged prospective teachers and veteran high school teachers. 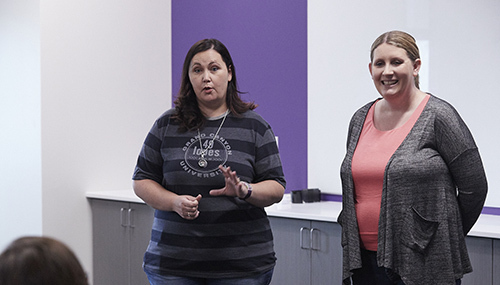 For these Grand Canyon University educators, teaching is magical, as evidenced by the humorous, 45-minute presentation they have planned for the 2018 Educators Rising National Conference on Thursday-Saturday in Orlando. The students will be asked to text one-word descriptions of their passion for teaching and the reasons they want to teach. These responses will be formatted into a Word Cloud, with the most common responses in larger type, displayed on the video screen in the presenting room, and then juxtaposed with a Word Cloud culled from responses from GCU College of Education faculty. 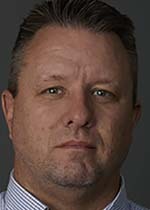 “We expect the results to be very similar, just showing that what motivates them at this very beginning stage when they are just thinking about going into education is what continues to motivate them even when they are on with their career,’’ said Basko, who will channel Professor Minerva McGonagall while McCabe will embrace a muggle role. 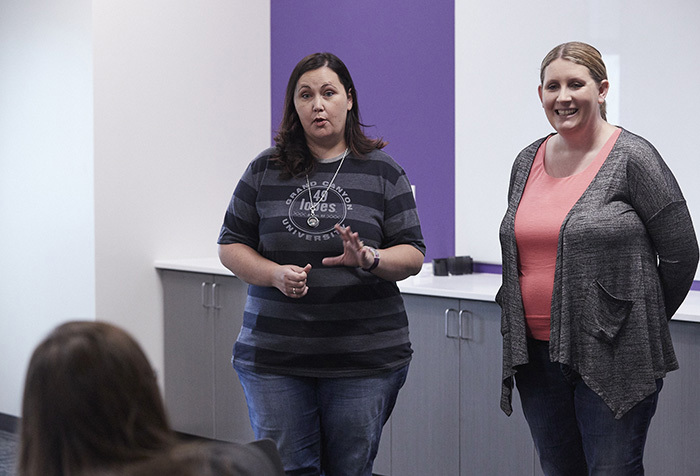 The pair will present at the conference for aspiring teachers from all across the country, along with four other COE instructors: Dr. Marjaneh Gilpatrick, Kimber Underdown, Dr. Jeff Martin and Dr. Brandy Miller. GCU is among 18 universities participating in the innovation exhibit at the conference, which will be kicked off by keynote speaker Mandy Manning, the 2018 National Teacher of the Year. In an attempt to persuade the aspiring teachers to stay the course they are charting “by finding comedy in a situation,” McCabe will share one of her toughest moments. On the day of her teacher evaluation, by both a school and a district administrator, one of her emotionally disabled students streaked in the classroom. Unlike most professions, potential teachers have witnessed the job all of their school lives. Consequently, they likely have seen stressful situations. They encourage the high school students to investigate the profession by interviewing teachers, counselors and school psychologists in their own schools. Both presenters can relate to audience members, who are likely to start their careers in K-12 settings. For seven years, McCabe answered the calling as a special education teacher. She came to GCU five years ago, earned the assistant professor title last year and will finish her doctoral degree in the fall. 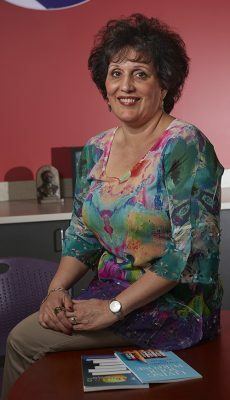 Basko taught fifth grade for eight years before moving on to GCU, where she has gained a doctorate and secured the assistant professor title. Both instructors teach online COE students on a full-time basis. Underdown came up with the idea after reading “O Great One! A Little story about the Awesome Power of Recognition“ by David Novak. McCabe read the book, at Underdown’s suggestion, and they both agreed that applying the theme to a classroom setting would make for a relevant presentation for the conference. “What we found in our research is that some teachers are so focused on catching the things students are struggling with and helping them make growth that we do not always see the positive things they are doing, ‘’ McCabe said. The pair suggest that teachers emphasize gratitude from the beginning of the school year, whether it is writing a note of appreciation to the custodian for cleaning the classroom or to the principal for reading to the class. They also suggest that teachers make positive phone calls to parents of students who might not be accustomed to receiving positive feedback about their children. While Martin will share classroom-management strategies in an interactive, technology-oriented presentation for novice and experienced teachers, Gilpatrick will emphasize the importance of teachers as storytellers. 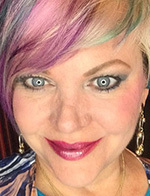 The basis of Gilpatrick’s presentation is an article she co-authored, “Tell Me a Tale: Using the Art of Storytelling to Increase English Learners’ Oral Language Abilities,’’ published in 2015 in the Arizona Reading Journal, an educational publication. The way material is presented is “input” and the way students are expected to demonstrate their mastery of the content is the “output,” according to Miller. Her second presentation is about building a philosophy of inclusion. 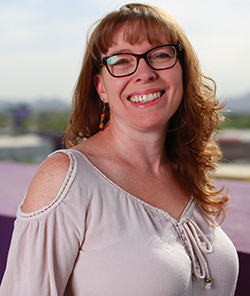 Miller’s master’s degree has a specific emphasis on special education, and her doctorate in organizational leadership from GCU has an emphasis in K-12 education. COE Dean Dr. Kimberly LaPrade is incredibly proud of the faculty members who will present at the conference.